One of the first questions we are typically asked by our prospective clients when discussing setting up a hive on their property is, “will the the Bees bother me?”. The simple answer is an emphatic “No”. Now certainly the location of a hive is carefully taken into consideration and typically positioned in an area that is not adjacent to high traffic or high use or play areas. While the Bay Area serves as prime habitat for honeybees (pictured above), it unfortunately also serves as prime habitat for yellowjackets (pictured below). No regions are immune to this aggressive backyard pest and unfortunately they are often mis-identified as “bees”. We are here to set the record straight, honeybees and yellowjackets are very different from one another and given the right information to look for, are actually quite easy to differentiate from one another. Honeybees and yellowjackets are distinctly different in color with yellowjackets having a more primary yellow coloration to the honeybee’s orangish/amber/brown. Honeybees have a lightly fuzzy / hairy look to their bodies while yellowjackets have an almost glossy / waxy hairless look to their bodies. Honeybees are pollinators and collect pollen within the hairs on their legs, yellowjackets do not have these hairs and are rarely seen with collections of pollen on their legs. Honeybees eat nectar and are often found hovering around and pollinating flowers, yellowjackets are predatory (meat eaters), and while not attacking normal prey, can be distinctly found hovering around picnic tables and BBQs. 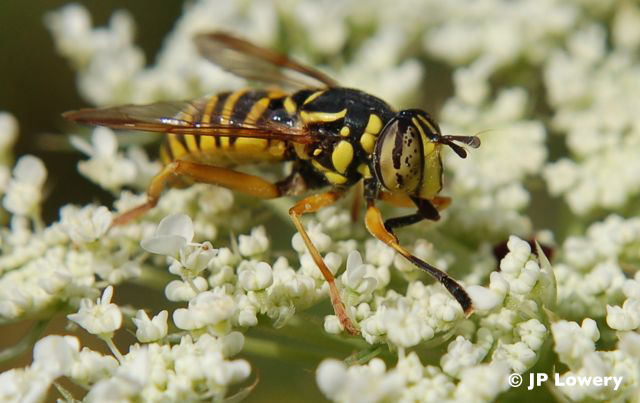 A honeybee’s flight pattern can be characterized as almost smooth in appearance, while a yellowjacket can be very fast with a rapid side to side movement prior to landing. Honeybees have glands that can produce wax for construction of their honeycomb, yellowjackets do not have these wax producing glands. 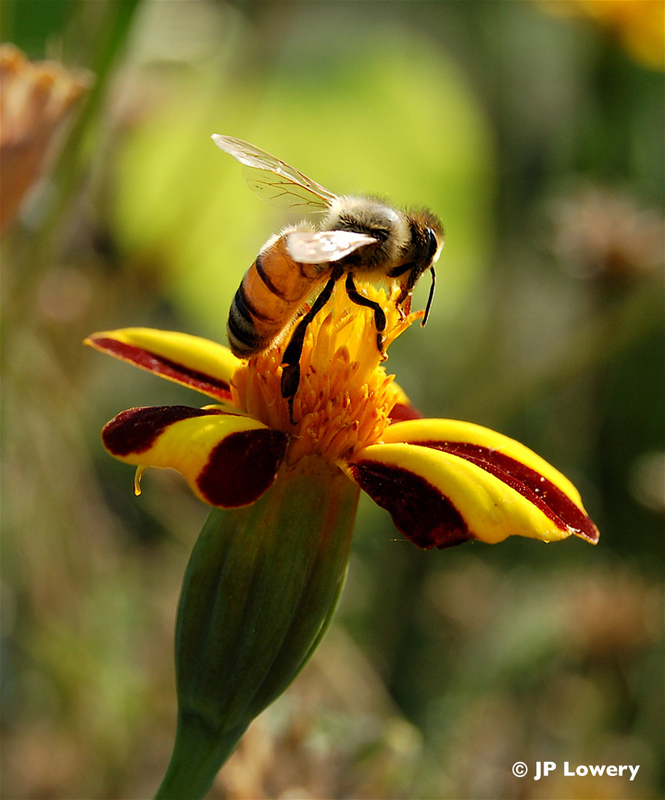 This entry was posted in Bay Area, Honeybees, Yellowjackets by beerancher. Bookmark the permalink.